Ever been called a flake? Well, I’m doing it right now. Only it’s a compliment, not an insult. After seeing footage this week of much of our country covered by thick blankets of white precipitation (hey, we’re even wearing socks in Tampa! ), it occurred to me that you (and I) are very much like a flake … as in snowflake. You’re a unique, one-of-a-kind, amazing, customized entity Papa God fashioned and then intentionally broke the mold. No one else has your exact qualities, perceptions, feelings. Yet we have so much in common with all the other flakes. We like to, no, we need to hang out with them. To live together and work together to achieve a higher purpose than any of us could achieve on our own. That’s what makes snowfall so beautiful and, well, magical. All the individual flakes stick together to create something truly remarkable. 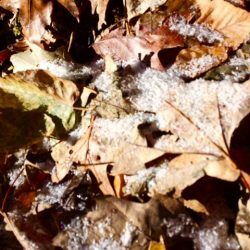 It just wouldn’t be the same if each group of snowflakes decided they were better than the others and formed a coalition that obstinately refused to cooperate in covering the yard with snow. Pretty soon the landscape would look ugly and pock-marked. Like it had pimples. Here at the beginning of a new year, it’s no secret that racial relations are pretty tense in our communities. Black lives matter. Blue lives matter. Hey, all lives matter. So how do we all get along? I’ve been spending some time studying the second chapter of Ephesians (and I challenge you to grab your Bible and do the same). Let’s see how two previously hostile and antagonistic races learned to get along once they both placed their faith in Christ as their Savior, which was the only thing they seemingly had in common besides earlobes. Could a blending of such different cultures, beliefs, perspectives ever really work? Is peace possible among people of diverse and volatile backgrounds? It’s only by God’s grace that any of us are here (verse 5). We were each created to do work Papa God custom-prepared specifically for us (verse 10). That means our work will be inherently different than anyone else’s. We’re not supposed to be the same. Different races are part of the divine design (verses 11-12). It’s selfishness and sin that builds hostility between them. Christ came to unify us in faith, to destroy the barrier between races; to transform the dividing wall of hostility into peace (verses 14-16). By his death and resurrection, “He tore down the wall we used to keep each other at a distance” (verse 14, MSG). “Christ brought us together through his death on the Cross. The Cross got us to embrace, and that was the end of the hostility” (verse 16, MSG). Did you catch that, my friend? For believers, the hostility is already over! We just have to embrace our brothers and sisters of other races and start acting like it. And the final glorious result: “He treated us as equals, and so made us equals” (verse 18, MSG). Ah, peace. Real peace. Lasting peace. It is possible. If we can only start seeing ourselves as equals through Christ’s sacrifice on the cross. Every time I oooh and ahhh over a peaceful snow-covered landscape this winter, I hope I’ll remember that it would never be possible if all those individual flakes didn’t stick together. And speaking of sticking together, I want to THANK YOU for sticking with me as we begin a new blog year! It is truly amazing how God has so many ways too make us all unique yet all so much alike! We are all made in His image and what a blessing to know we all are His unique masterpiece and part of His divine Master Plan. Thanks for your encouraging words and faithfulness in His ministry! I’ll bet you’re wrapped up like a piggie in a blanket – you wear a sweater in June anyway with your cold nature. Do they make portable electric blankets? Somebody should invent that – a battery operated electric jacket. I always enjoy reading anything you write. As I did the first blog of 2018. Please say a prayer for Ken and me. We have been in Middle Georgia now for a week and need the roads to clear so that we can get home to NC. It is bitter cold here and we need to do laundry desperately. Thank you. Oh and put my name in the hat for the planner set you are giving away. Happy New Year! Hope to see you in February! Surely will, dear friend – on both requests. I hope to see you in Feb too – can you please remind me when it is you might be back to this neck of the woods? Miss you bunches. I consider myself a strong woman and I have raised strong girls who are now becoming beautiful strong women. One thing strong women sometimes forget is others (women, specifically) are not all created with the same characteristics and haven’t been through the same situations. We need wisdom to embrace this difference and appreciate others for who they are rather than default to the idea that we know best what they should be doing, feeling or believing. There’s a line to cross from being strong to being a bully. 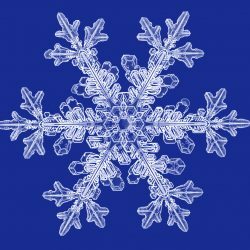 It’s ok to be a strong snowflake and totally love on and listen to better understand our sister snowflakes who may be more tender or fragile than makes us comfortable. I have found that taking time to listen to understand rather than listening to respond is a good step towards gaining more perspective on the views of others who are not “like me”. Likewise, when I have an opportunity to share, telling a story rather than defending an opinion is more openly received. I love that you do the latter so we’ll. You’re been a great influence and role model for myself and others in this way. Love and peace. Wise words, Mo. As I have in the past, I just may have to quote you on that one: “listening to understand rather than listening to respond.” I miss hanging around you, snatching your words of wisdom and wit more than I can tell you. But I’m thankful that you’re thriving up there in the great white north. Hugs! 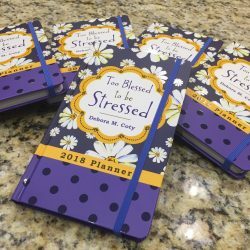 Just purchased too blessed to be stress three minute devotions for women, yesterday! Found it at a perfect time! I am a bit stressed. LOL! 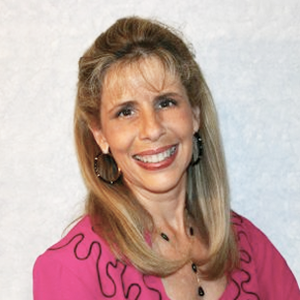 Glad to hear you’re taking steps to get out of your Stress Mess, Vicki. Feeling stressed these days happens to all of us; but STAYING stressed is something we don’t have to do. Stopping right now to lift a prayer up for you, BBFF!